Finding love isn’t as hard nowadays as it used to be in the past. 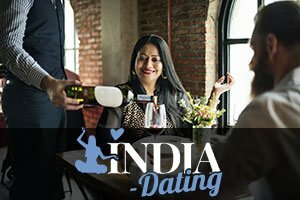 With the introduction of online dating, flirting and coming across someone truly interesting has been simplified and made easy. However, some guys – or better yet, most of them – are still oblivious of what women like or dislike, and don’t really know how to seduce them. In that name, here are the 7 things you absolutely must know about women if you want your crush to notice you today. While some women would do anything to be with a rich guy, fact is most of them don’t actually care about what we own or how important our job is. Although we can’t live without it, money isn’t something most true ladies really care about. In other words, you should do all you can in order for your crush to feel like the world revolves around her. Make her feel special and appreciated, and she’ll certainly return the favor! There are many ways to a woman’s heart, but the best way is through her friends. Winning over your crush’s friends puts you in a very good position, as women are prone to going to her female buddies for advice. And if they are on your side, she will soon join them, too. If by any chance you get to go out on a date with you crush, you’ll probably end up in a bar or a restaurant. But what if we told you that being somewhere alone with her gives you a better chance at seducing her? Surely, you’ve probably heard that you should be an open book while trying to seduce the girl you like. However, there’s a better way of doing this and it requires a little bit of mystery. Even though we have said before that bragging and making everything about you is a big no-no, a pinch of confidence is still something you’ll need if seducing your crush is what you want to achieve. Believing in yourself (in moderation, of course) is a crucial part of transforming your crush into your partner.